Almost 20 hours of classical piano music! To start at the beginning, I began my piano lessons at age 49 (pretty gutsy, huh? ), and my teacher often brought to my lessons a volume from the International Library of Piano Music for me to play from. Her enthusiasm for this collection got me thinking that I should own a set myself, so I bought a set in an eBay auction. Then I waited for a set of the LP's to come up for auction and I bought them too. By the way, the LP's don't come up for auction very often, and the tapes almost never do. Soon I discovered a drawback to listening to these pieces on LP's: I could not listen at the piano, which is nowhere near my audio system. I thought, "Wouldn't it be great to have them on CD so I could listen on a portable CD player?" That's when it dawned on me--if I wanted them on CD, perhaps others did too, not only for listening at the piano, but just for listening! There's a lot of great music here! 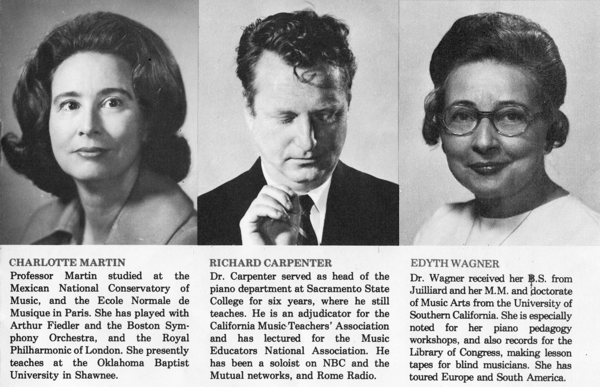 So I tracked down the owners of the International Library of Piano Music and, believe me, it wasn't easy. 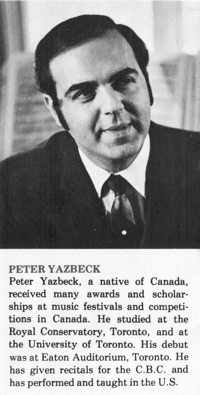 The publishers, University Society, Inc., went out of business more than twenty years ago and the original owners are dead. It took months of effort to make this project happen. As an engineer I knew that the right equipment would be needed to produce a quality result, so I made sure that no shortcuts were taken while digitally re-mastering the recordings. In addition to using high-end equipment to capture the sound from the original records, a sophisticated sound processing program was used to remove the remaining hiss, rumble, and almost all trace of the pops and clicks that are inevitable with LP's. By removing this noise from the LP's, the resulting quality of sound is actually better than the original. I must note, however, that in a very few cases the original recording is less than perfect. The recordings were made by many artists in different settings, and a very few had slight problems with distortion or a somewhat less than perfect acoustic environment. These probably amount to no more than fifteen or twenty minutes out of almost twenty hours. Even so, they are perfectly adequate for giving a student the "feel" of a piece--and they're still a pleasure to listen to. For years I made the Recordings of the International Library of Piano Music available on 16 CD's. But technology doesn't stand still. CD's have become obsolete. So I have converted each piece to an MP3 file and stored them at Box, the cloud file storage site. When you purchase I will give you access to the Box site to download all these magnificent pieces. The contents of each CD I now refer to as a "collection". CD's are obsolete, MP3's are in! I am very pleased with the quality. You did a great job. As an erstwhile pianist I know the value of being able to study a piece while listening to it. The audio quality of the CD's is very good, but even more so the performances of the pianists is surprising. The availability of your recordings was a deciding factor in purchasing the print edition. Within each era the pieces are arranged by composer and ordered as they are in the Table of Contents of the International Library of Piano Music. Below is a link to a PDF file of the large, easy-to-read 8-page booklet listing the contents of each collection. Would you like to see the entire list of tracks that are included in Recordings of the International Library of Piano Music on MP3 ? Then click here to open a PDF file of the entire song list: Complete List of Pieces. You can find any piece you want to hear quickly and easily. Or you can just play each collection for 60 to 80 minutes of wonderful piano music. The other day I found myself listening to all the music of Beethoven (which fills two collections) while following along in Volume 2 of the International Library of Piano Music and wondering if I will be able to play this music some day (I keep taking lessons and practicing!). So if you need some inspiration to continue your efforts with the piano, this could be it! I have had the set of books since I was 12 years old and I was taught from them. I am now 37 yrs. old and have a daughter who has been taking piano for 4 yrs. I was so thrilled to find the albums on CD. Thank you so much! This set of MP3's is offered with a Replacement guarantee --should you lose these MP3 files because of a computer crash or theft, I will give you access to download them again. No worries about losing part of your collection forever because digital data isn't "forever". I do recommend, however, that you backup your collection on a separate hard drive or flash drive or another computer. Still not sure if this collection is for you? Then download the samples below and hear for yourself what the collection sounds like! Each link below opens a piece from the collection. Click to hear each, or Windows users: right click to save to your hard drive. I just love the Recordings and I know you will too. I have sold scores of this specialty item right from this simple web site. 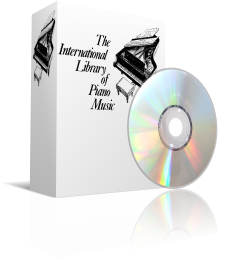 You can purchase Recordings of the International Library of Piano Music on MP3 right now for only $99.95. When you order I will give you access to the download site within 24 hours! P.S. Have a question? Unsure if this offer is still available? The recordings are very good -- clear with no hiss, pops or other distractions. You did a good job digitizing the original LP's. Wow! I got it today and I must say I am impressed. The case is nice and everything is nicely and professionally done. 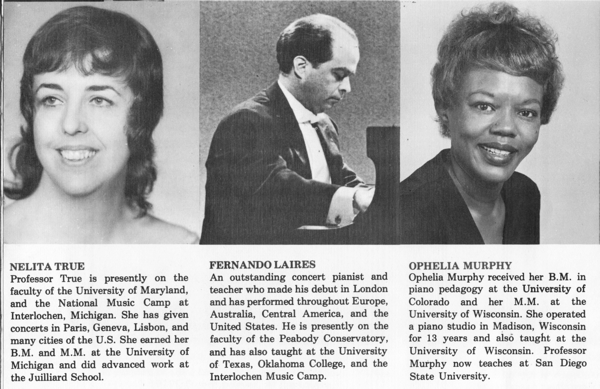 I was excited recently to locate and be able to purchase a set of the 'International Library of Piano Music'. I was even more excited when the same internet search revealed that CD recordings of this library of music had been digitally reproduced and available from Scott. I immediately placed the order for the recordings and anxiously awaited the shipment to arrive. All my recent excitement was immediately complemented with overwhelming amazement and satisfaction when I opened my shipment and began listening to the CDs. I found Scott's CD recordings, production labeling, table of contents and even the beautiful zippered CD wallet to be of the finest quality. I now have a complete collection with which I never want to part. I have been enjoying my CDs so much I ordered another set for a friend - thanks for the great product! You'll probably be getting more orders from me in the future. 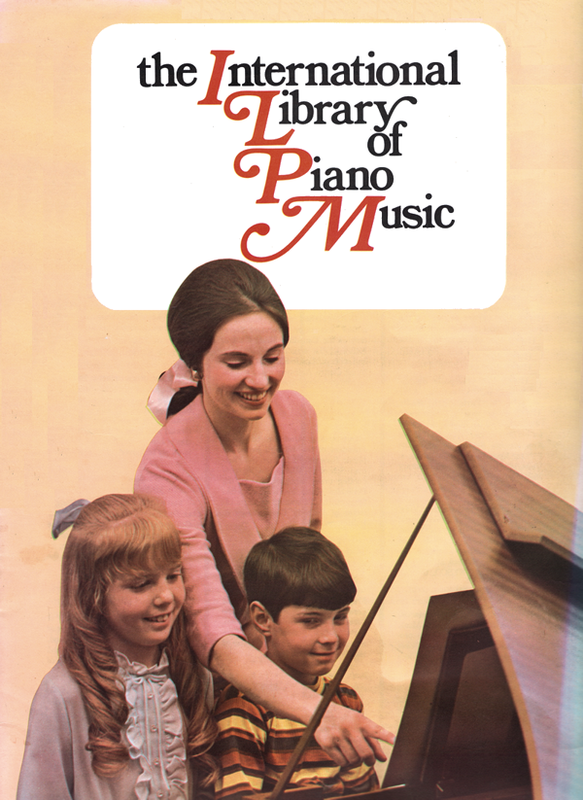 My sister just sent me your web-page advertising the digitizing of The International Library of Piano Music. Being a contemporary of yours I can relate to this marvelous collection as my siblings and I were fortunate enough in our childhood to have taken many years of piano lessons. 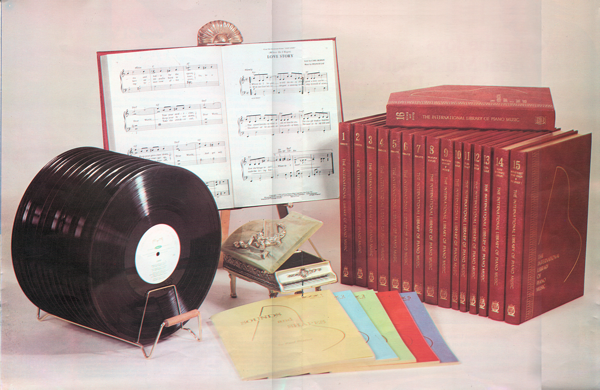 We were also original owners of the complete collection... books, LP's and all. In time my family moved overseas and our collection ended up staying overseas when they returned to the U.S.
My mother, nearing 80, especially enjoyed listening, so you can imagine our excitement when we found your website! This gift will be cherished once again for many years to come. Thank you, Scott, for expending your energies to resurrect this gem.